This charming 18x12mm enameled cabochon was made in France very long ago; perhaps in the 1920s, and certainly no later than the 1930s. The gold and white figures are opaque, but the cobalt background simply glows as one turns the piece in the light. 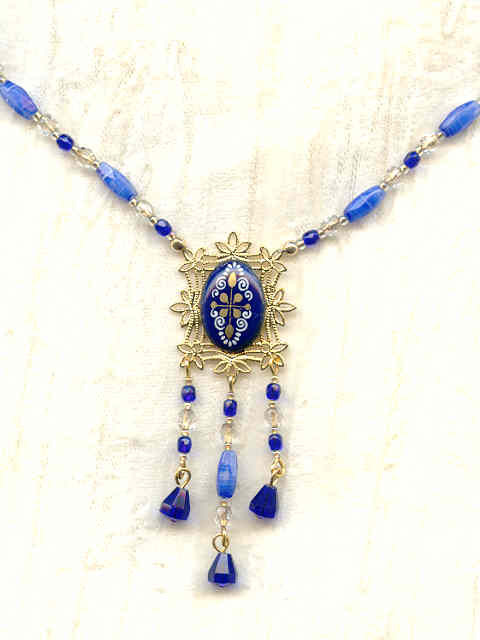 I've bonded the cab to a gold plate filigree that acts like a picture frame; and added a fringe of vintage lampwork and contemporary firepolish crystal beads that match the cabochon perfectly. The same beads make up the 19" strand. 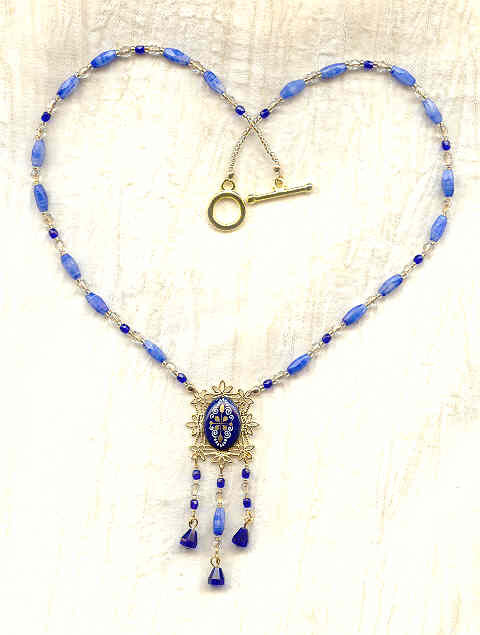 The longest fringe element, plus the pendant, ends about 2-3/4" below the strand. 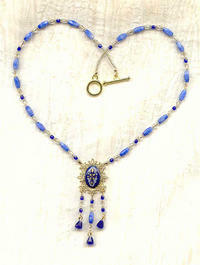 The clasp is a bright gold plated toggle. It's another fit-for-a-princess pendant necklace from SPARKLE PLENTY.